Are these genuine and new Hewlett Packard CM1312 cartridges or are they generic compatible ones? We supply both genuine and compatible HP Colour LaserJet CM1312 toner cartridges. The brand new and original HP CM1312 toner cartridges are described as "Genuine", and are pictured in the official HP boxes with the HP logo under the product images. The compatible HP CM1312 toner cartridges we sell are also manufactured to a high standard but are made from recycled materials. The compatible HP Colour LaserJet CM1312 toner cartridges are pictured in the Cartridge Save branded boxes and state "Premium brand" under the product images. Any of the toner cartridges listed on this page are guaranteeed to work reliably in the Colour LaserJet CM1312 printer and come with a 100% satisfaction guarantee. 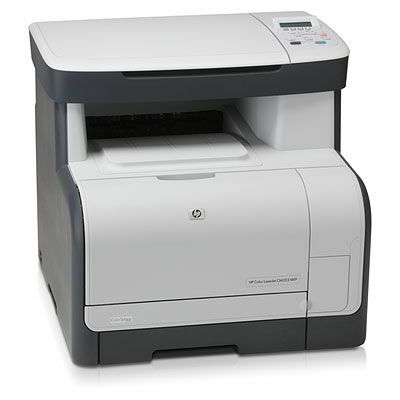 Can you please give me the most lowest price of this HP Colour LaserJet CM1312 printer? Thanks. Unfortunately, we don't sell the HP Colour LaserJet CM1312 printer itself, we only sell HP CM1312 printer cartridges and consumables. If you're looking to purchase the actual printer you'll need to go to a printer retailer or HP directly. Can I recycle used HP CM1312 toner cartridges through you if I purchase a replacement set of cartridges? Please can you confirm that the pack of four print cartidges for the Colour LaserJet CM1312 contains CB543A (magenta), CB542A (yellow), CB541A (cyan) and 125A or relevant, equivalent (black)? Many thanks, Bridget Warr. I have an HP CM1312 MFP which after relatively little use has stopped colour printing. The display indicates that the colours have run out which is an impossibility. I'm going through black toners too quickly and about to order yet another. Very occasionally, once in say 500 sheets, it randomly prints a full colour print. Therefore, as suspected, it's a software type problem. Any ideas? Can you please tell me if I buy the HP Colour LaserJet CM1312 toner cartridges from yourselves can they then be returned to you for recycling free of charge? What cartridges would be suitable for HP Colour Laserjet CM1312 MFP printers please? The HP Colour LaserJet CM1312 cartridges are listed on this page. Please return to the top of the page and scroll down to view our range of toners for the CM1312 printer model. There are four colour cartridges (black, cyan, magenta and yellow) with the codes CB540A, CB541A, CB543A and CB542A. We also supply a pack which contains all four HP CM1312 toner cartridges. Please can you tell me how I can install this printer on Dell Vostro Windows 7? Unfortunately, due to us not having a technical support team, I am unable to advise on how to perform this installation. I would advise that you contact Dell or Hewlett Packard for technical support. Is the item listed as 'HP CB54' compatible with my HP Colour LaserJet CM1312 series PCL 6 printer? Yes, the 4 colour HP CB54 toner cartridge multipack contains all four colour cartridges for your HP Colour LaserJet CM1312 series printer. To order a collection of the most reliable cartridges for HP CM1312 printers, then you can get everything you'll need and considerably more today on Cartridge Save. Our company's mission is to provide nothing other than the best quality toner cartridges so that you don't need to stress about them damaging the laser printer. For the largest choice of laser toners that can be verified to be compatible with the CM1312 laser toner printer, pick Cartridge Save. Cartridge Save are fanatical about giving you brilliant value and fantastic customer care. With Cartridge Save you'll find totally free next day delivery included with each and every order made. Should you buy today, your goods will get delivered by tomorrow. So that we are able to provide you with much more assurance, each HP CM1312 toner that is ordered on our shop comes with our comprehensive cash back policy. If you expect to spend less money, then buy on Cartridge Save!